Rocky Silent Hunter Rainwear Trousers. If you need hunting gear, the SilentHunter Rain Trousers by Rocky with Realtree camo is a great option for stealth and comfort. Rocky's specially-designed SilentHunter suede is extremely quiet outerwear option, so you don't give away your position to your prey. It has Rocky Scent IQTM which means this garment reduces human odor by destroying it at the microbial level for ultimate concealment on the hunt. So you've concealed your scent and sound, what about sight? Of course, you need camouflage. 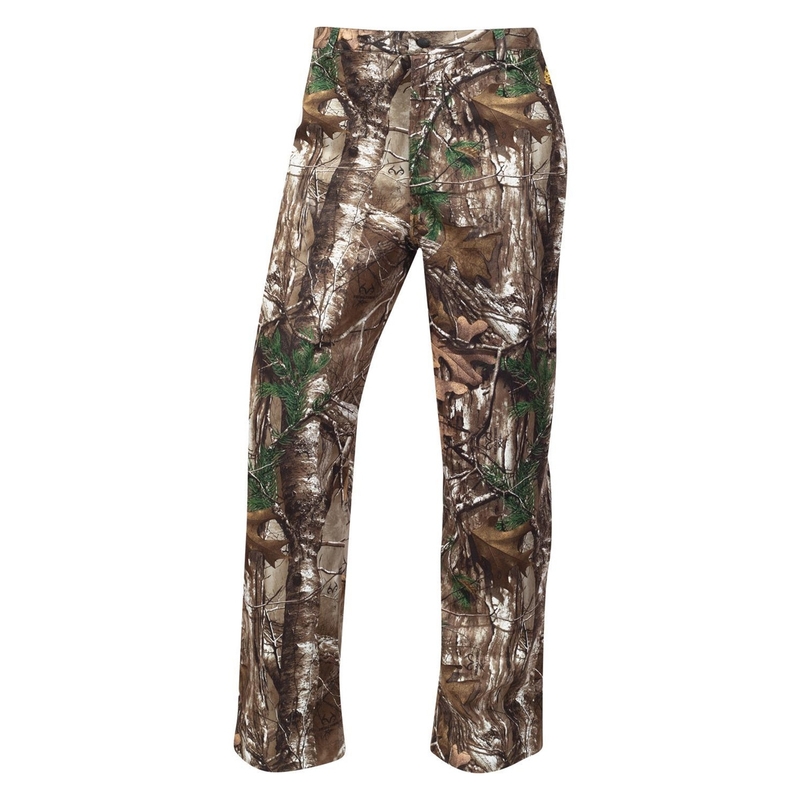 These hunting pants feature Realtree AP XtraTM camo "” just the right hunting camo so you blend with your surroundings. In addition to being great hunting pants, these also are comfortable rain pants. They are taped and seam sealed to be completely waterproof. You stay dry and comfortable, so you can concentrate on the hunt. 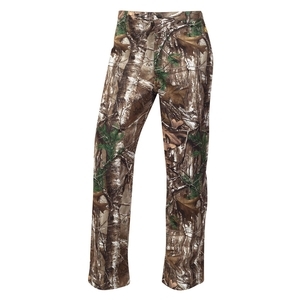 These are zip fly pants with belt loops so these camouflage pants are easy to get on and off. You'll remain comfortable all day in these pants. Due to the athletic fit, they look good. An elastic side waist allows you to remain comfortable whether sitting in a tree stand all day or bending over your kill. The moisture-wicking mesh lining allows air to flow and guards against sweat, ensuring additional comfort.